The creator of Pepe the Frog, the once-lovable cartoon frog appropriated by the assorted white supremacists, neo-Nazis and other vile meme-makers of the so-called “alt right,” has successfully enforced a copyright claim against a dude who had Pepe drawn into a bigoted children’s book. Per Motherboard, artist Matt Furie—who is absolutely not a brownshirt, and originally created Pepe for his comic Boy’s Club—has obtained a settlement with author Eric Hauser, getting the latter’s book The Adventures of Pepe and Pede pulled from sale. 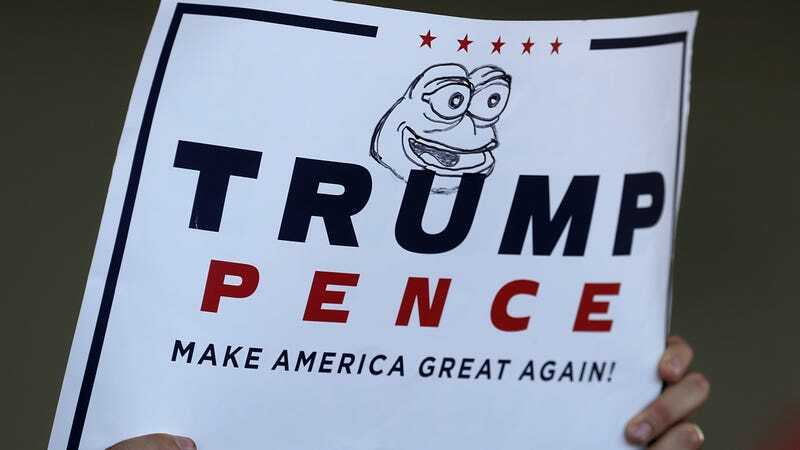 As the Washington Post noted, the book is loaded with references to the far-right movement, including Pepe, who originated as a catch-all meme on image boards like 4chan before becoming closely associated with neo-Nazis in the public imagination. Hauser self-published the book on August 1st, subsequently leading to him losing his role as an assistant principal at North Texas’ Denton Independent School District. 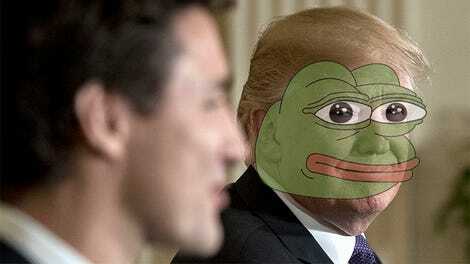 “The point we are trying to make with this case is that Pepe the Frog does not belong to the alt-right,” Louis Tompros, an IP lawyer with Wilmer Cutler Pickering Hale and Dorr LLP who worked pro-bono on the case, told Gizmodo. Pepe was jammed into the book alongside a number of obvious right-wing references, making the associations even more obvious. Pede, his insect sidekick, is a reference to the “centipede” nickname Donald Trump’s supporters use on their noxious Reddit hub, /r/TheDonald. The villain of the book, a bearded alligator named Alkah who lives in a swamp and employs mud-covered minions vaguely resembling women wearing burqas or niqabs, is an obvious and disparaging reference to the Islamic religion. Pepe and Pede eventually defeat Alkah by throwing “blessed buds” from a tree of honesty at him (honestly, your guess is as good as mine). Tompros and his colleague Don Steinberg told Motherboard that Hauser immediately admitted he had violated Furie’s copyright on Pepe by selling the book. Hauser agreed to cease all sales of and surrender all profits from The Adventures of Pepe and Pede. They added Furie intended to donate the entirety of Hauser’s $1,521.54 in profits to the Council on American-Islamic Relations, a Muslim civil rights group. Hauser has continued to insist he is not a white nationalist, supremacist or anything but a conservative, telling the Dallas Observer he wrote the book to “break down the barriers of political correctness and embrace truth, honesty and teamwork.” He added he believed critics had identified Pepe as a supremacist symbol as part of “an attempt to silence conservatives,” which sounds an awful lot like he hasn’t learned a single thing from this whole debacle.